EFree is located at the Geophysical Laboratory, Carnegie Institution of Washington. It is led by a Management Committee which includes Director Russell Hemley, Associate Director Timothy Strobel, and Managing Director Stephen Gramsch. Within the Center there are Key Personnel who lead the Research Projects. These Key Personnel are located at Carnegie as well as universities around the country. 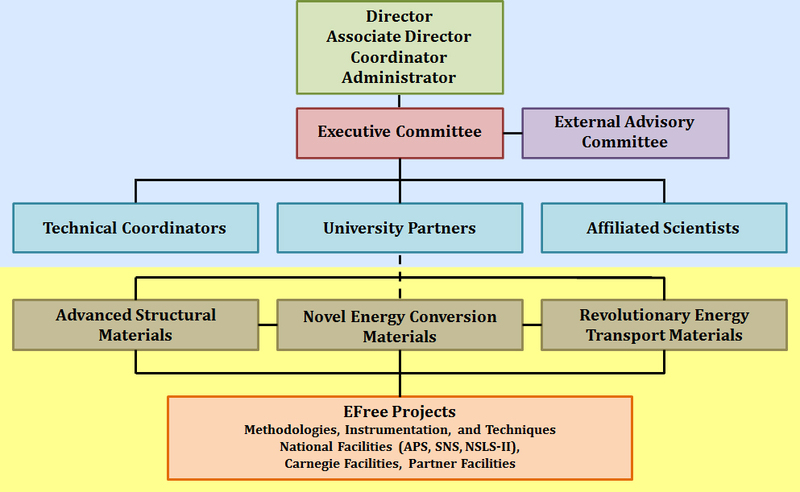 In addition, we have an ever-expanding group of EFree Affiliates at laboratories around the world.